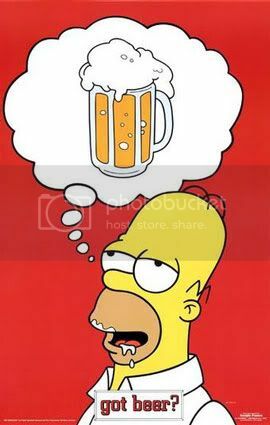 Homer Simpson said, “Homer no function beer well without, I need a bottle opener!” Oh Well! Homer Simpson I couldn’t find a beer opener for you but will a corkscrew do the job? Ok jokes apart! 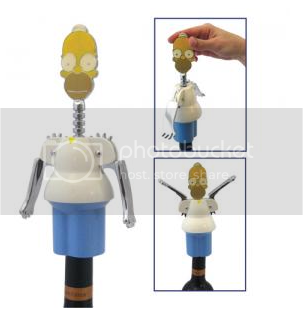 Here’s a Homer Simpson Corkscrew that I came across while searching for some cool stuff over the web. Using the Homer Simpson Corkscrew you can open a wine bottle and share some light humor with your pals. To open the bottle you need to make Homer stand on top of the bottle and turn his head to twist the screw into the cork. Then, simply push Homer’s arms down to release the cork from the bottle. This will open your bottle and will also work as a small exercise for lazy Homer. The Home Simpson Corkscrew is priced at about $20. If you are interested in getting one then you can get one from here. FM Radio Tap- Taps Can Sing too!